Melania may have “no jiggles to hide,” but her sleeved wardrobe is a big hit in the fashion world. Both women chose to wear dark outfits with ornamentation around their necks. But time after time, Melania is shown choosing to wear long sleeves. I might be quite a bit younger than Melania, but maintaining a good exercise regime to keep those triceps from becoming tri-flops means I often choose longer sleeves and almost always wearing longer sleeves when I’m at a conservative-hosted event. Having had a long experience working in fashion, Melania has made good friends among famous designers such as Dolce and Gabbana, who had regularly defended their choice to dress the FLOTUS on their Instagram account. The two men, both Italian and homosexual, must be an odd pair for the offended left to fight against. They don’t want to get into politics, they just want their friend Melania to wear beautiful outfits! And I have to say I agree: the FLOTUS has a profound impact on the dress sense of the nation. 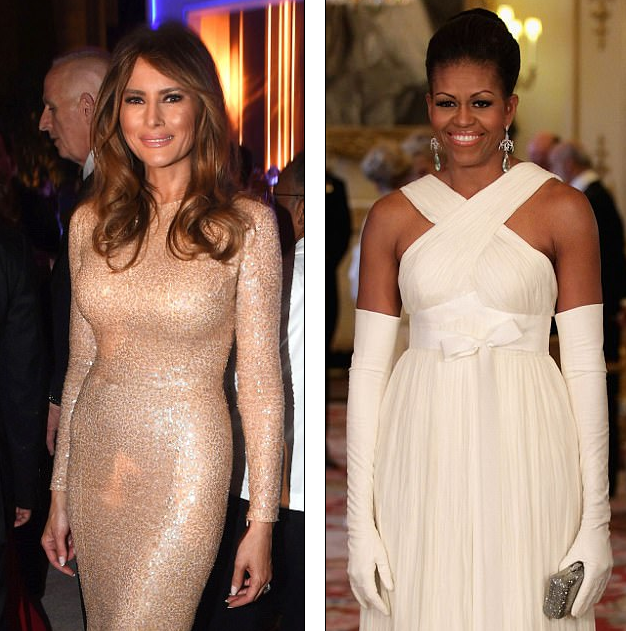 Like Kate Middleton, whose outfits and jewelry choices sell out almost immediately after she appears at an event wearing them, normal people look to the apolitical women at the upper levels of the world for fashion help. After all, if Melania is wearing a certain pair of high heels, you know it’s almost guaranteed to still be in style in the next five years. 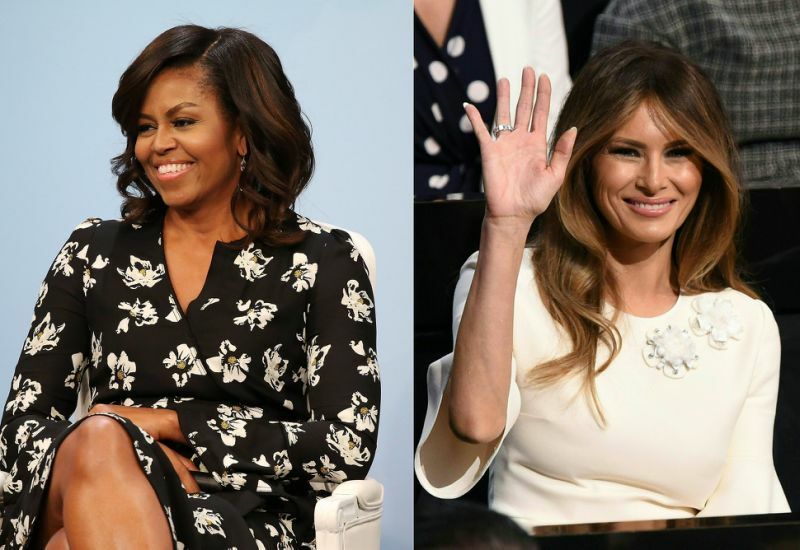 A few months ago, one of Michelle’s dress designers, a French woman named Sophie Theallet said that she would not dress Melania because she goes against Donald’s “rhetoric of racism, sexism and xenophobia.” The designer, based out of New York, probably didn’t need to put out a press release — with household names already dressing Melania, there’s no reason for this woman to publicly address the new First Lady except in order to get attention for herself through virtue signalling. 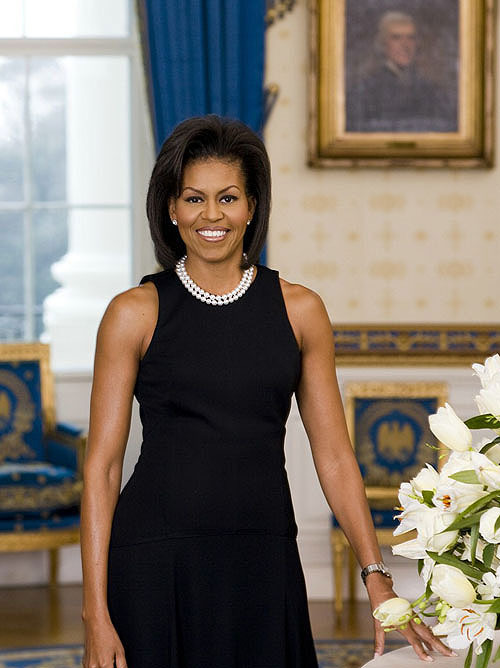 Back in 2009, during a speech to Congress delivered by Barack, Michelle wore a sleeveless dress in the audience and the editor for Glamour Magazine was shocked, telling the New York Times: “Oh my God. The First Lady has bare arms in Congress, in February, at night!” While everyone seemed to be shocked at the choice — possibly the female equivalent of wearing shorts in winter — Michelle reportedly just wears whatever she’s comfortable wearing. Congress must be warmer than I imagine, or all that time in Chicago really hardened her to the weather. If I were her, it wouldn’t be too long til I was asking Barack if he wouldn’t mind if I borrowed his coat.